This case should be simple: Ngoty is the adopted daughter of a United States citizen. Contrary to common belief, Ngoty’s adoption does not automatically grant the child with US immigration benefits. The situation becomes even more complex for Hague Convention cases like this one. THE HAGUE CONVENTION: FRIEND OR ENEMY? 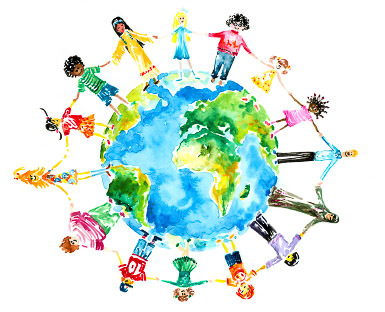 On April 1, 2008, the United States acceded to the Hague Convention on Adoption; the implementing regulations are the Intercountry Adoption Act. In simple terms, the treaty-based program was meant to protect children from trafficking and movement across international boundaries without governmental oversight. In practice, it has created a maze of regulations that are almost insurmountable in some cases, such as those with Joanne and Ngoty. The Hague Convention applies to any adoption in which at least one adoptive parent is a US citizen. The other parent, if applicable, must abide by the terms of the Convention regardless of immigration status. The Hague Convention applies to interfamily/ relative cases, as well as cases in which the child is physically present in the United States. There are common misconceptions even among immigration practitioners that these cases are Hague exempt. They are not. The Hague Convention applies in cases where the child’s country of origin is also a Hague party member. Mexico and Canada – our nearest neighbors – are included in this list, as are many European and South American countries. The Hague Convention and related regulations generally prohibit an adopted child who is physically in the United States from immigrating stateside, unless the adoptive parents satisfy a very complex and highly-discretionary USCIS memorandum, PM-602-0095. In the alternative, the adoptive family must complete 24 months of joint physical and legal custody of the child outside of the Unites States. This last point is critical in the current case. Joanne is a United States citizen. Ngoty’s native country of Senegal is a Hague Convention party member. Ngoty did not have her greencard in the United States, and was relying on Joanne’s adoption to provide immigration benefits. Joanne may have had an impossible time satisfying the requirements of the USCIS policy memorandum pertaining to Hague Convention children physically in the United States. The specific facts of this case are protected by confidentiality rules. Joanne’s most straightforward hope of securing her daughter’s immigration was to relocate to Senegal with her daughter for at least 24 months. Indeed, Joanne took the path that she felt was best for her daughter. Such moves happen regularly, and our office has had clients over the years who have made the selfless decision to relocate abroad to facilitate their children’s adoption and immigration. Yet Joanne and Ngoty’s story is important for its simplicity: the laws and regulations meant to protect children have had an unintended consequence of placing more children in limbo. It is doubtful that that was the intended goal of the drafters. Our office specializes in the very complex area of international adoption and the immigration of foreign-born children. Contact us for additional information and to assist your family. We look forward to speaking with you.